A couple weeks ago some friends found a popcorn air popper for sale in town. My husband asked them to purchase it for us, which they kindly did. And we had been enjoying having popcorn for a healthy snack. But his plans for the popcorn popper were not for popping popcorn. He wanted it for roasting coffee beans. 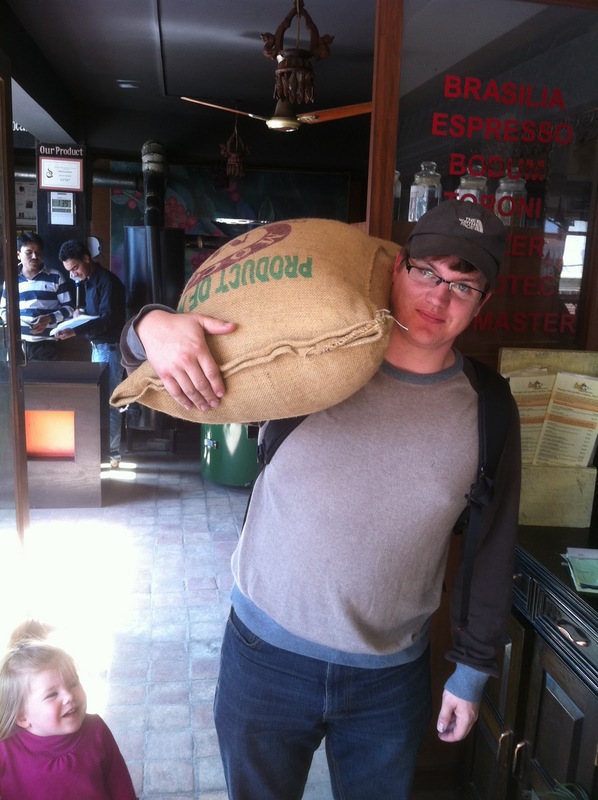 That's a 30 kg bag of green coffee beans he was able to purchase from a local coffee shop for a quarter of the price it costs us to buy roasted and ground coffee. Of course he then had to carry the 30 kg bag of beans 5 blocks down the road to put it in the truck! That cracks me up! And I'm sure the walk was worth it for cheaper coffee. Can't wait to hear how the roasting works out. We have friends in town who've done the whole process from picking off the tree to roasting - just not worth the work to me. But - if you could buy the beans ready for roasting - that might not be so bad. That many beans would last me for years! That's awesome. 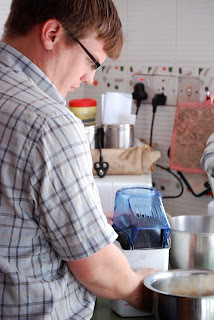 My dad roasts his own coffee at home the same way!! Fresh roasted coffee is amazing!!! Definitely the best way to go if you're a big coffee fan.